HELPFUL DETAILS: This plan runs from August 1-August 31. On the Lindsay plan, long runs on the weekend range from 90-110 minutes; weekday runs range from 20-40 minutes. 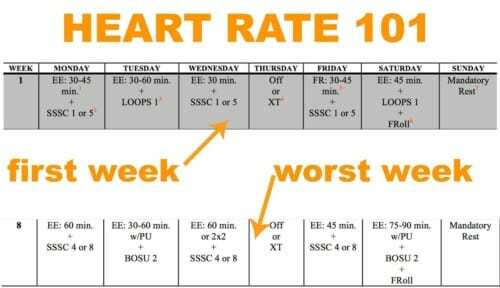 We require that athletes who enter the monthly heart rate program have completed either Heart Rate 101 and/or a 20-week race program. If you have not, we recommend starting with either the AMAZING plan or Heart Rate 101.